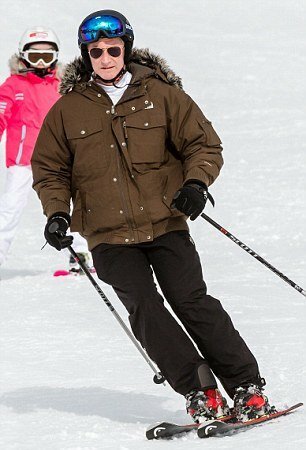 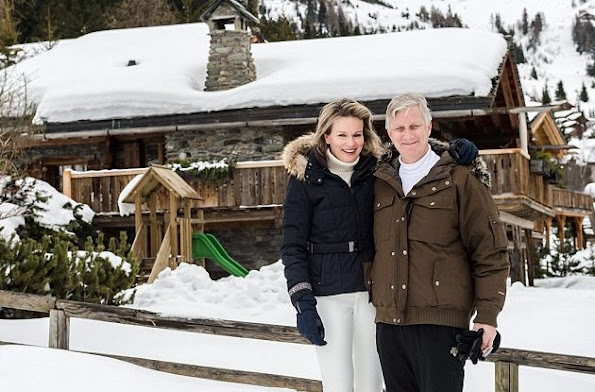 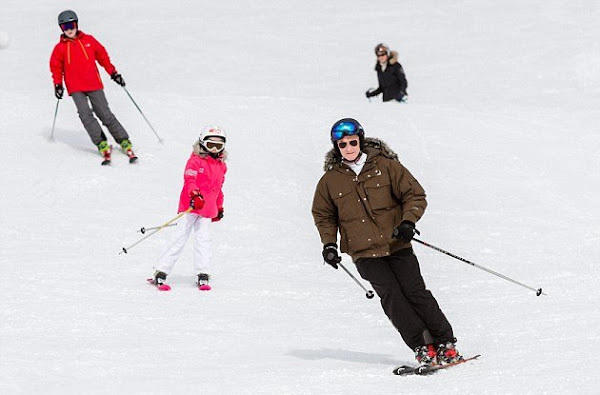 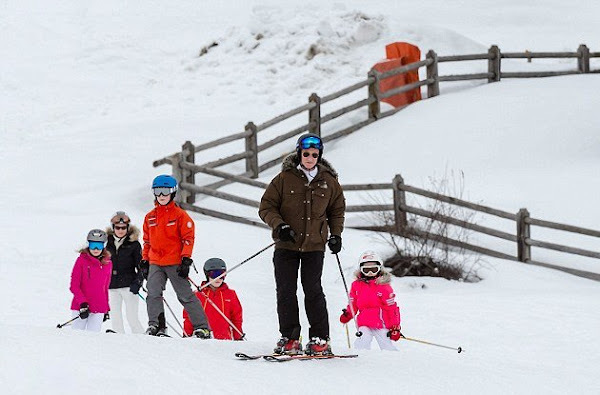 King Philippe of Belgium, Queen Mathilde of Belgium and their children Crown Princess Elisabeth, Prince Gabriel, Prince Emmanuel and Princess Eleonore of Belgium pose for pictures during their winter holidays on February 08, 2016 in the skiing resort Verbier, Switzerland. 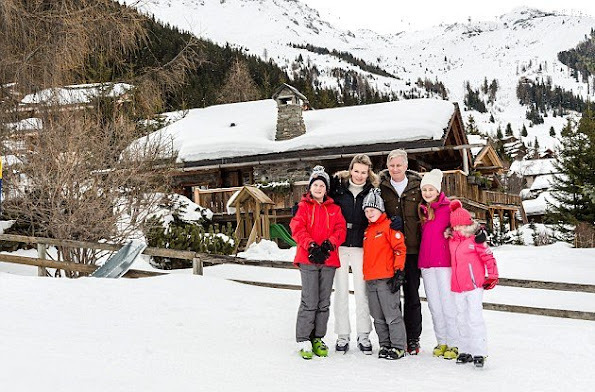 Wonderful pictures of a beautiful and caring family! 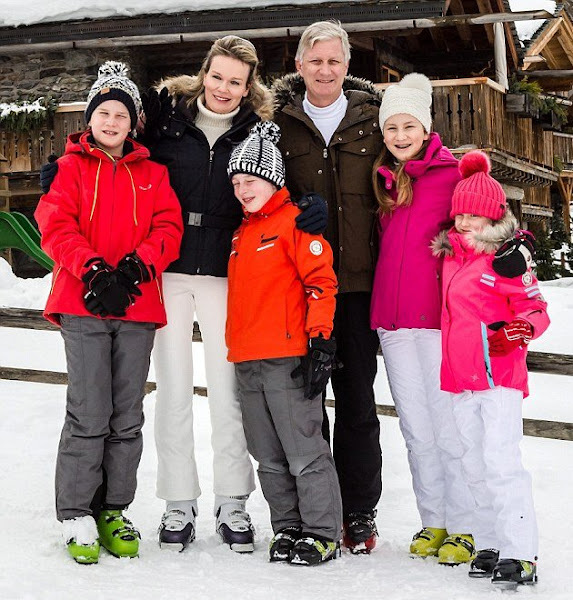 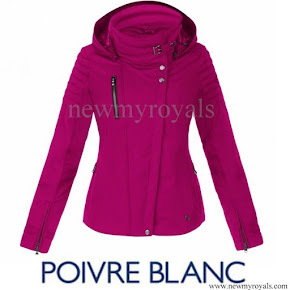 Queen Mathilde had 16 engagements on January!Well done! Hermosos y simples. Los amo!